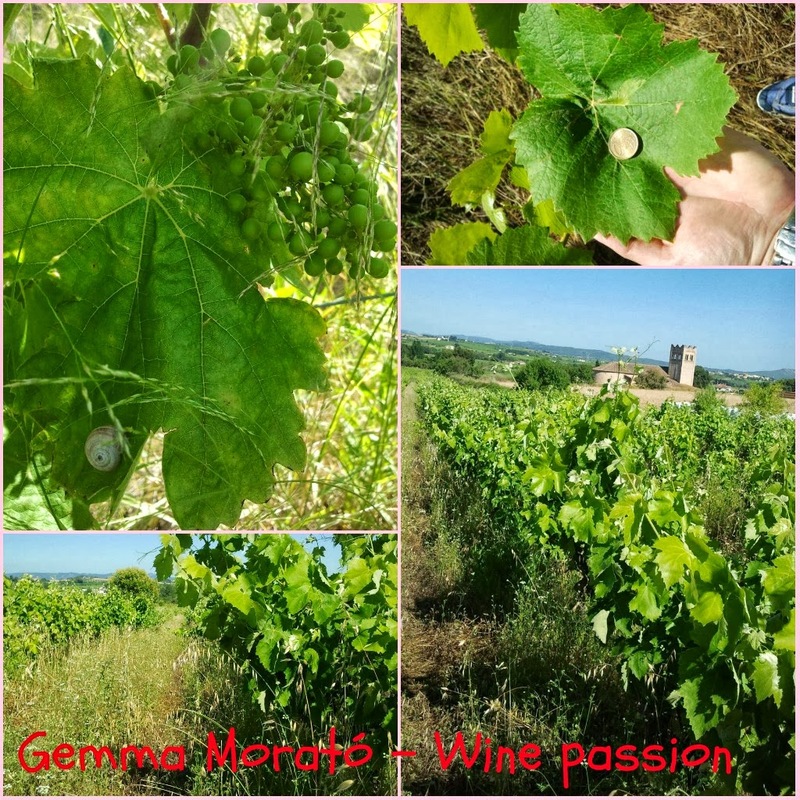 Last June I had the opportunity of visiting, with some friends (a sommelier and a wine blogger as mad for wine as I am) a viticulture of natural wines. 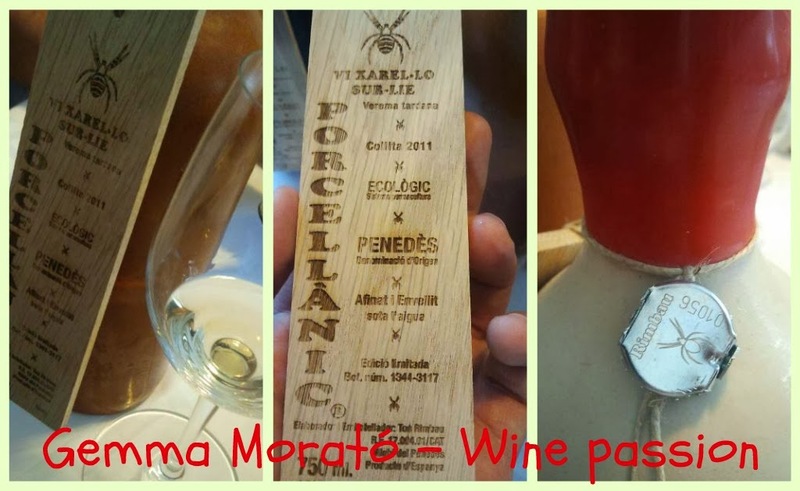 Yes, natural wines, wines those go far away from the organic and biodynamic wines. Natural wines show the pure essence of the grape in its finest: the wines are natural, natural from the vineyard to the glass in all the processes in between, at all the stages. The starting point for a good wine (natural or not) are the vineyards. When we visit the Ton Rimbau’s vineyards the first surprise was the difference between surroundings vines and vineyards, the difference between the crop that nowadays we call “conventional” and the called “alternative growing” (conventional in the past). These vineyards apparently may seem neglected because the are not ploughed, the herbs grow everywhere were your eye can see, all grow wild and human intervention is limited to mow the grass or pass over with a roller to flatten them and make a cushion that retains the moisture below. In these vineyards fauna and flora life coexist with the vine, and it does not signify an inconvenient, it’s a challenge as the vines make an effort and strain, in harmony. 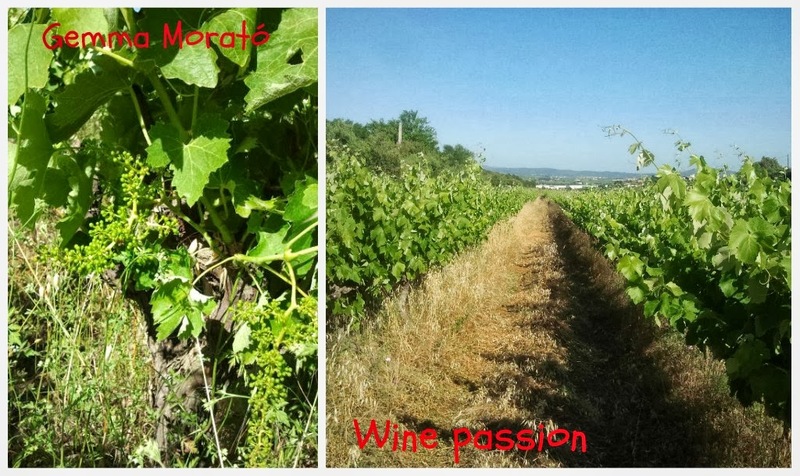 In fact, the fauna and the flora are so important: rabbits, foxes, wild boards, birds... are in the vineyards at some time during the day or night, and now Ton is working in nests for bats, as they help to keep mosquitoes controlled naturally (they eat 1200 mosquitoes/hour). All these animals contribute to fertilize the vines naturally and help with the balance. The farming is environmentally friendly in every way. Chemical treatments are reduced to the minimum expression, we could say most of the times are non-existent. Chemical fertilizers, pesticides, fungicides… have no place in these vineyards. The priority is a respectful agriculture: Ton practices the permaculture. The purpose of all this is to get that wine reflects the territory, the area where it comes from and the vintage if it’s possible… the idea is that not alien elements distort the expression of the wine, that freely will show their origin, their roots. Precisely for this reason, to be the most faithful to the environment, these wines are not filtered or clarified, so that does not alter its characteristics. In fact, the main idea is to reduce human intervention to minimum possible and even more the intervention of machinery. The principal objective is to preserve the characteristics of the grapes from the time they are harvested until they turn into wine, so grapes are harvested on days with rising-moon-growing and fruit because the grapes contains the highest expression of everything that represents (the terroir, the vineyard, the environment…) and preserve most of these characteristics means that substances will not be added at wine to not alter the reflection of its expression, so the acidity is not correct, not flavours added, not chips or chunks wood for flavouring… In fact, the wine is not filtered so that eliminates the natural components of the wine that can become beneficial for the wine evolution. Maybe the best known feature of natural wines is the absence of added sulphur. Forgetting that the sulphur dioxide (SO2) is harmful to health and some people are allergic, it is a toxic element that is the cause of headaches, migraines and the terrible hangovers. This lack of sulphites added is supported by an official certified that verifies that wine only contains its own sulphites, generated in the course of its winemaking. Apart from this and continuing with the idea of preserving the wine from all that can affect it, the wine is stored in ceramic bottles, opaque, thus protects it from light. And to preserve the wine from temperature changes, it’s stored in old dipping wine-presses with water, as it keeps in temperature better. Ton Rimbau produces three wines: a natural sweet wine, a xarel·lo and a xarel·lo su- lie, all of them organic. Also, he produces sparkling wines, but now we will focus in one of their wines: the porcelain xarel·lo sur-lie. The first thing that surprise us is to discover the cultivation system, based on the permaculture. There grapes were hand harvested at their ripest. If it’s necessary, going several times to harvest only those berries that are ready and living those who have yet to finish maturing, leaving them for later, and only harvesting on fruity days with rising-moon-growing. This wine fermented with the fine lees in French oak barrels during 9 months. After, this wine was bottleled in ceramic bottles to preserve the wine from the effects of the light and the aging process is done under water in concrete tanks. In appearance it’s a little hazy, with a lemon-gold colour. When we swirl the wine in the glass we can see the legs going down slowly. On the nose it’s easy to appreciate the wood well integrated and it’s in perfect harmony with the wine aromas. After 9 months aging in French oak barrels, the aromas are citrusy, but as well we can smell the lees, it smells similar to cider. On the palate the citrus fruit stands out, and slowly it appears the toasted almond from the barrel. The wood from is well integrated, in perfect harmony with other aromas and tastes. It has a long finish. The aromas and flavours are well balanced after these months in French oak barrel. But we must considerer that all those aromas and flavours change for moments, after one hour the wine is different, the evolution is constant, it’s alive. That is what makes natural wines different from other wines: they are in constant developing.